Megawheels TW01-1 is the fastest self-balancing scooter on the market considering its price range. 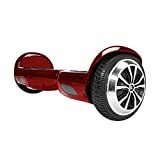 It is also said a budget scooter, that means you will get the taste of the fastest hoverboard at an affordable price! However, if you love speedy riding and are looking for a safe, yet fast hoverboard with an affordable price, then Megawheels TW01-1 can be the right board for you. Here I have enlisted the key features of Megawheels ‘TW01-1, to help you understand why this one can be your purchase. The features are enlisted below, but before jumping to the features, read out some information about the manufacturer right here. The Megawheels is known as an expert supplier of hoverboard, self-balancing scooter, electric scooter & electric skateboard since 2014. The supplier made a great development in the modern personal transportation business during 2014-2016. At present, they are processing over 150k sets hoverboards & self-balancing scooters per month! All of their products are made of quality materials and design. Most of the products are available with UL, RoHS, and CE certification. The Megawheels has earned a stellar reputation both in the US and worldwide for processing the devices of genuine quality and reliability. The design of this self-balancing hoverboard looks more elegant than its price. Here, the enhanced chassis and reinforced shell will give you the feel of a premium hoverboard. It’s a clearly solid product. A variety of color choices also let you choose your favorite color from the options of red, blue, white and black. The features that made this self-balancing scooter the fastest hoverboard on the market are given right below. Megaeheels WT01-1’s external body is made of durable ABS case, which is anti-collision and scratch-resistant. 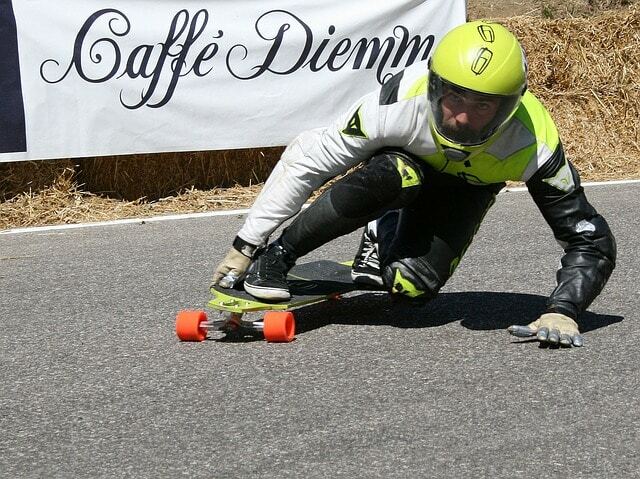 So your board will be safe and intact even after accidental crashes. This TW01-1 has two 6.5- inches wheels. These wheels are wrapped with exposed tires. These tires are non-slip and enable a rider to be stable in the round. In addition, the aluminum alloy wheel hub provides strength to the wheels to carry up to 120 kg loads. It also looks very solid and shiny. This ‘TW01-1’ hoverboard is featured with CE, RoHS & TUV certified 4400mAh Samsung lithium-ion battery. The battery is mounted under a fireproof case so that it never gets damaged or initiates any explosion. Besides, a smart battery management system empowers the battery to perform well and last longer. The battery takes 3 hours to be charged fully. With a full charge, a rider can ride 15-20 kilometers distance, depending on the loads. 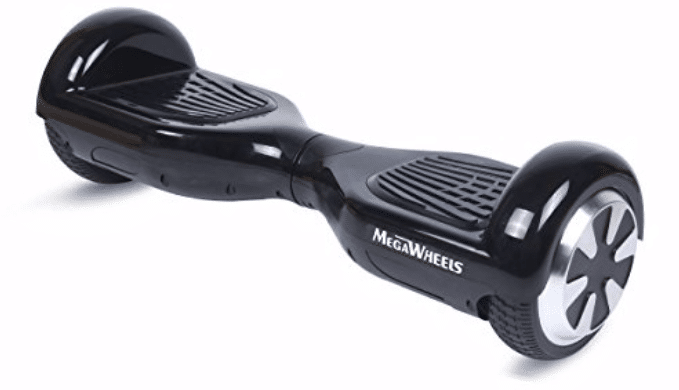 The hoverboard has dual 350W motors for a powerful and speedy ride. 4400mAh Samsung lithium-ion battery supplies power to these motors. As a result, the motor can produce the highest speed of 7mph/12kmh for the riders. Megawheels TW01-1 comes with inbuilt high intelligent chip, which reduces energy consumption, improves operation speed, processing ability and stability. Apart from these technical and functional specifications, this self-balancing electric hoverboard also has an important highlight, which is an alarm system. The board will alert you by alarm when you ride it at over speed! The 'TW01-1' automatically adjusts the riding speed calculating the weight of the rider. When the speed reaches higher than 12km/h, the front-end panel of the pedal will be elevated to avert further acceleration, and to prevent accidents. 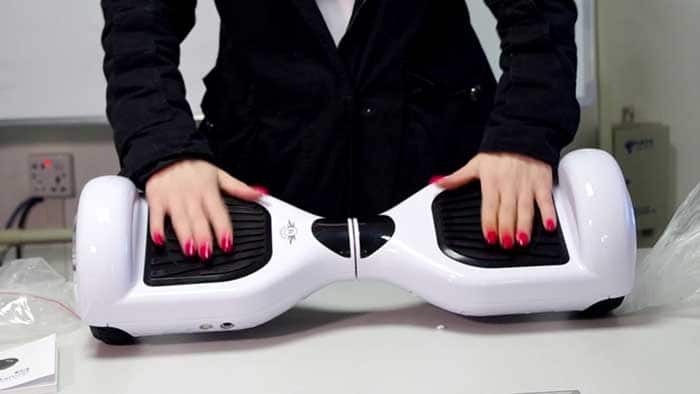 The board has the climbing capacity of 25-degrees, but when the body tilt degree of hoverboard goes over 45 degrees; the motor automatically stops rotating to protect the rider. To ensure stability and prevent the rider from fall the hoverboard includes high-quality stabilization gear. So, with better stability and balance, you can enjoy every moment of your ride. The footpads of this board are also smooth and anti-slip. It offers grip and solidity so that the riders have good control on their foot. Because of these pads, getting on the hoverboard becomes super easy. Two panels LED lights are embedded with this hoverboard. The upper panel LED displays the battery status and the side panel LED marks your appearance on the ground for the other pedestrians and the vehicles. The smart scooter sounds 'beep' when the power level is less than 15%. And, when the power level goes below 3% the front end panel of the pedal sink gradually slows down until the board stops! When this self-balancing hoverboard is not in use for about 2 minutes, it will automatically go into sleep mode to save battery power. To ensure solid durability, the manufacturer used anti-collision and scratch resistant ABS case to build the exterior of this hoverboard. And, for the safest ride of the users, manufacturer mounted the lithium-ion battery under a fireproof panel. For the safe designing and build quality, Megawheels TW01-1 achieved CE, RoHS & TUV, and UL2272 certificates. So, you just enjoy the ride without worrying about fire and explosion. Moreover, the Safety alarm, Automatic Dormancy, Low power protection, Speed protection, and Anti-tilt protection features will take care of your riding constantly. Check out how to controal hoverboard. a. CE, RoHS & TUV, and UL2272 certificates. b. The additional safety features. c. 12 kmph top speed. e. Deals with inclines and rough ground easily. • 1 Main unit (scooter). • 1 Charging cable/Plug-In adaptor. Anyone irrespective of age and expertise who is looking for a good, speedy self-balancing scooter on the market with a reasonable price can pick this Megawheels MT01-1. Question-1: Does the board have a key? Answer: No, it doesn’t have any key. Question-2: Does it come fully charged? Answer: Not fully charged, it comes with 50%-80% charge. Question-3: Where is it made? Answer: It was made in China and passed all the necessary electrical tests also got UL 2272 certificate. Question-4: Does it work well on inclines? Answer: Yes, it works great on inclines. 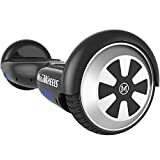 With the performance features like 12 kmph top speed and 15-20 kilometers running distance, and the safety features of UL 2272 certificate, Alarm, Automatic Dormancy, Low power protection, Speed limit protection, and Anti-tilt protection, this Megawheels ‘TW01-1’ is the fastest hoverboard on the market considering the price tag. you may check other option too. here is self balancing scooters comparison Swagtron vs Segway. Actually, TW01-1 is a complete package of speed, performance, and safety. So if you really feel the need of a complete speedy hoverboard, you can pick the TW01-1. 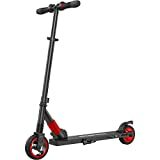 【Long Range Battery Life】A powerful 250W motor propels the electric scooter to a max speed of 15.5 MPH. Ultra high capacity lithium battery, which can support a maximum commuting range up to 13 miles. 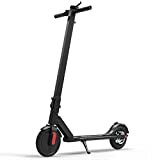 【Foldable Ergonomic Design】This adult e-scooter weighs only 27.5 lbs which can be quickly folded and released within few seconds, wherever you are, you can easily carry and store it as well enjoying the joy of riding. 【8.5" Pneumatic Tires】With advanced 8.5" shock-absorbing pneumatic tires to make your ride more comfortable and safe. Our MegaWheels S5 scooter is also equipped with a mechanical disc braking on the rear wheel and a electronic brake on the front wheel to ensure braking system more stable. 【Intelligent and Humanized Design】Features gear shift setting-first gear for a 11 MPH comfortable ride and second gear to get the 15.5MPH fast ride experience, S5 is also equipped with ultra bright LED front light and battery indicator. 【MegaWheels Values and Belief】We believe that only quality products are able to make customers feel joyful while using them. Our electric scooters are available with UL, CE, RoHS certifications. We offer a worry-free 12-month warranty and friendly customer service. Startup Self-Balancing - This user friendly hover board allows for quick and easy mounting by automatically balancing upright when powered on. Certified Strength and Resistance - The Twist(T881) is crafted with strong ABS polymer that fulfill UL2272 standards to protect against drops, crashes, and overheating. Double the Torque - A pair of twin 250W motors creates the ultimate duo for conquering stubborn slopes and scorching the streets with style. Powerful Joyride - Hop on deck to power up to 7 MPH, traverse up to 4.8 mi on a single charge, or climb inclines up to 30˚. Vibrant Lights - the T881's built-in battery and system indicators help you keep track of battery life and diagnostics while its headlight keeps your path illuminated at night. EFFICIENT & FAST: Powerful 250W Motor And 5.0AH/36V Large-capacity Battery Packs Support S1 Electric Scooter Up To 14 MPH And 5-8 Miles Long Distances. LIGHTWEIGHT & PORTABLE: Only 18 LBS Ultra-Lightweight Folding Electric Scooter, Easy Fold And Carry Design, It Can Be Folded Down Or Released Quickly In Few Seconds. Ultra-Convenient And Extremely Fun To Ride. ECO-FRIENDLY & HEALTHY: S1 Electric Scooter 100% Powered By Electricity Produces Zero Emission, Helping Save The Environment And Good For Healthy. SAFE RIDING: MEGAWHEELS E-Scooter Build With Solid Aluminum Alloy Frame, Double Braking System And UL2272 Certified Battery Will Make You Ride Safely On The Road. MEGAWHEELS S1 Electric Scooter Is Perfect For Riders Who Weigh Less Than 150 Pounds Or Age 10+ Teens. Performance Of Scooter May Varies By Rider Weight Or Road Condition. An Ideal Transportation Tool For Short Distance Commuting And Get To Your Destination Quickly.